For my Halloween papercraft project this year I decided to do a series of video game skulls. The first one up is a skull from the Half-Life 1 video game. This skull can be seen at various places in the game as you proceed from one level to another. I tried to size the skull to be 1:1 scale, but as I am no anatomy expert, the size is at best an approximation. 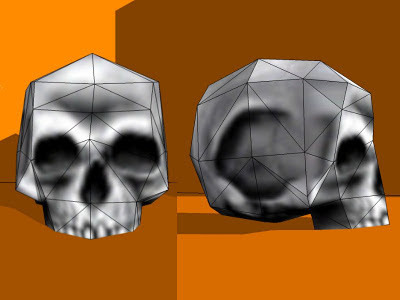 The five piece template for the skull may be downloaded here. Look for more paper model skulls in the coming weeks with the series running well past Halloween.